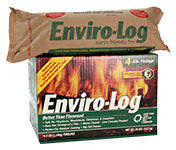 Enviro-Log Firelogs are tested safe for fireplaces, woodstoves, and campfires. They can be used like oakfirewood or be added to a wood fire for home heating, outdoor family gatherings, and wonderful for open-fire cooking. 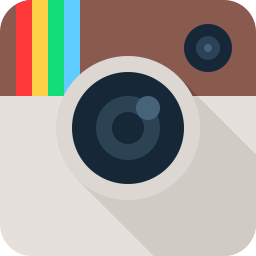 We offer a convenient online shopping option and we use Paypal for secure online payment processing. 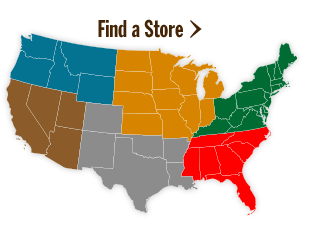 You can also find Enviro-Log Firelogs locally. Click the Find a Store button to view a list of retailers. 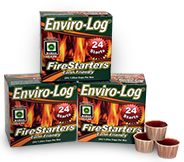 Enviro-Log Firestarter: is a simple and great way to start a fire.